Lot 101 -55 Daisy Drive, Beaver Bank (MLS® 201827800 ) Welcome to Carriagewood Estates. Construction is well underway & ready for your final selections! You will love the exterior features! The curb appeal is fantastic! 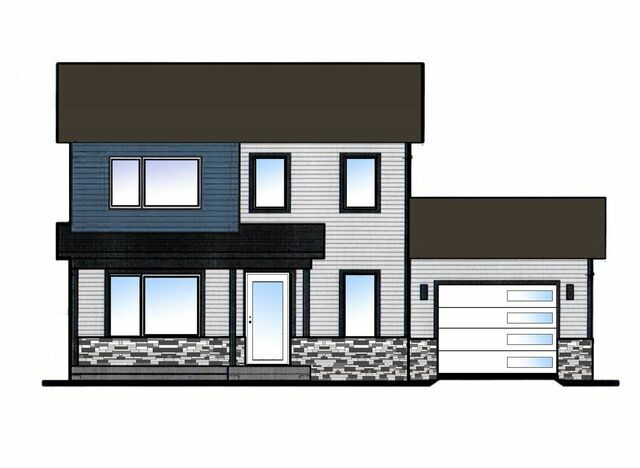 Beautiful contemporary 2 story home featuring all the traditional elements, with a modern design is accented w: modern windows, doors, siding, stone, covered front veranda & offers over 1480 Sq/Ft of quality living space! The main level offers a fantastic open concept design w: living rm leading to the spacious dining & kitchen w: center island, w/i corner pantry & sliding glass doors to deck. Hardwood stairs, ductless heat pump, 2pc powder rm, modern trim pkg...& access to garage, complete this level nicely. Upstairs you’ll find 3 spacious brs, master featuring w/i closet - 3pc Ensuite & conveniently located laundry. Situated on a serviced lot with underground utilities, landscaping, walk out basement & so much more. Work with an excellent - hands on builder & achieve an energuide rated home, that meets your needs. Mins to Sackville. Comm paid pre hst–hst rebate to builder. Measurements not warranted-fr plans.